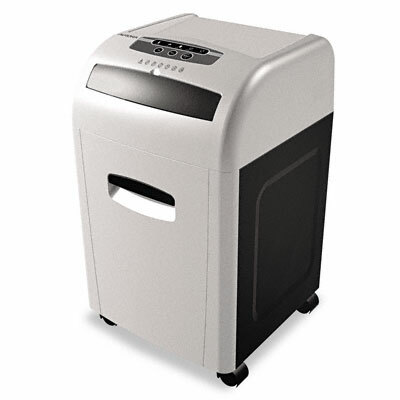 Powerful, heavy-duty shredder is ideal for frequent small office and deskside use. Front-loading design allows for convenient under-the-desk positioning. ShredSafe technology automatically shuts off machine upon "forced entry." Auto reverse feature makes clearing paper jams easy. LED indicator lights show power status, over load, over heat and door open. Ultra-quiet operation won't disturb others. Pull-out wastebin makes disposal of shreds quick and easy.